Navigating healthcare can be difficult. With so many moving parts, it can be tough to know how each part affects the other. Here are the some of the healthcare terms you should know and how they relate to one another. A payment request that is sent to your insurance by either you or your health care provider. This is the portion of your health care service for which you are responsible. This can include items like doctor visits, prescription medication, and labs. This is a fixed amount but that amount may vary for different services. This is the set dollar amount that you must pay each year before your insurance begins to pay. For example, if your deductible is $1,000, you must pay $1,000 worth of healthcare services for yourself. Once you reach your deductible, you usually will only need to take care of your co-pays from that point forward. This is anyone that can be claimed as a tax exemption. Currently, children may stay on their parent’s plan until they turn 26 year old. This is a savings account where you can set money aside, pre-tax, that can be used to medical costs. 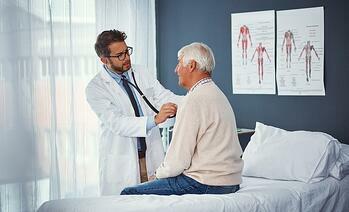 HSAs can only be used with a high-deductible plan to help offset the costs. There may be penalties for using these funds for non-medical costs. These are the providers that have contracted with your health insurer to provide services. Going outside of your network for services may leave you responsible for the entirety of the bill, so make sure all of your providers are within your network before visiting. This is the amount that you pay for your health insurance each month. Note: Plans with a high deductible usually feature a lower premium while plans with a higher premium feature lower deductibles.